The global cybersecurity company, First Atlantic Cybersecurity Institute (facyber), is pleased to announce the appointment of Irikefe Aniboh as a Student Ambassador in University of Lagos, Nigeria. Irikefe will work directly with our team in Pittsburgh, USA to deepen our presence in the iconic African university. 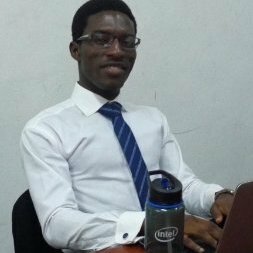 Mr Aniboh is a bachelor’s degree student of Systems Engineering in the university. He is one of the students representing Facyber in Unilag.